This handy cable allows you to program your Tait 8000 series transceiver from your computer. Also suits TB7100 repeater/base and TM9300 series. 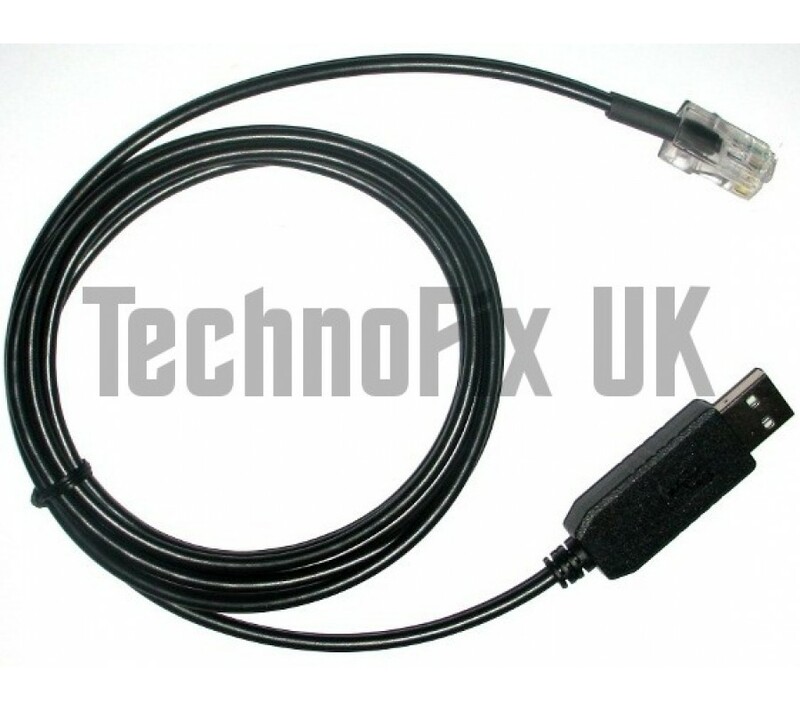 One end of the cable has an RJ45 (8 pin) modular plug which connects to the radio's microphone socket. The other end has a USB plug which connects to the PC's USB port. The cable contains a USB to serial converter, so the radio appears as a COM port on the PC. 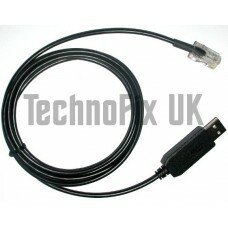 Length approx 1.8m/5ft 11 ins (if required, you can add a USB extension cable up to a total of 5m long). Both work with Windows up to version 10. Programming software not included. Please check the availability of suitable software for your model of radio.